I will shortly be doing a post on Fireworks Night for pets, which, due to November 5th falling right in the middle of the week is going to span the whole week with various displays, but we have another spooky evening happening first to think about! Halloween is very popular with our transatlantic cousins and increasingly popular in the UK, with a love of trick or treating, costumes and all things ghostie and ghoulie. Some of us take our pets trick or treating with us (this is me in my costume, ready to go! 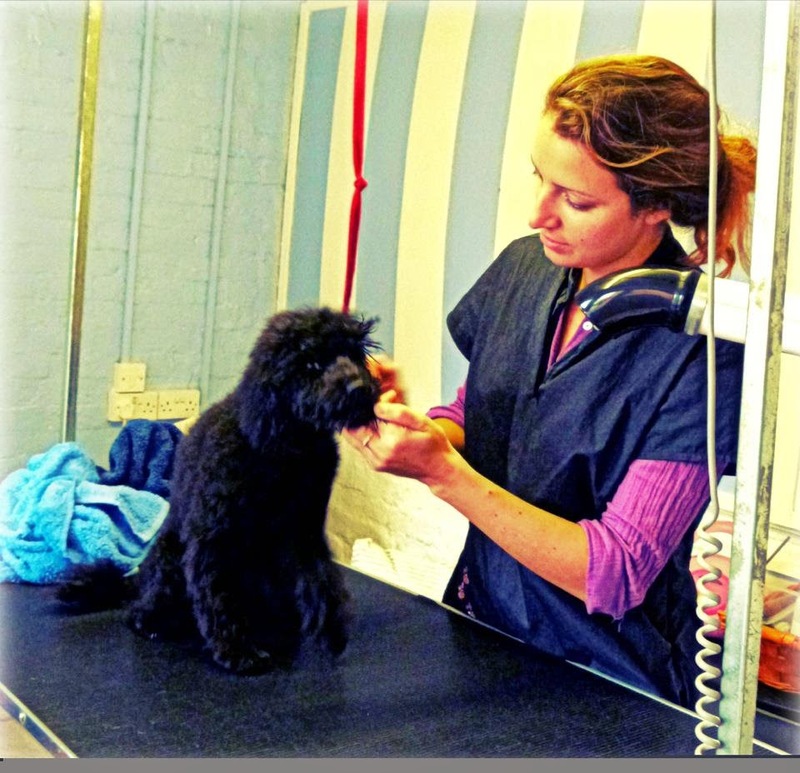 ), but there are some things we can do, particularly if we have a pet of a nervous disposition, to make the evening less stressful for them. First of all, even if you are not doing anything yourself, pets can find strangers coming to the door (especially when in strange costumes) unsettling and stressful. Give them a quiet safe place they can go to, and make sure if you DO answer the front door, that they don't dash out. Following on from that, if they were to dash out of the front door, or if you are taking your dog trick or treating with you, ensure they have their tags on (remember, in the UK it is a legal requirement - remind yourself of what is required here). Putting pets in costumes is a very emotive topic that isn't for discussion here, but certainly don't force the issue if your pet is uncomfortable or stressed by it. Any costumes you do use, make sure they are comfortable, non-restrictive, and are of strong construction and safe materials. The bat costume I am wearing in the photo is just like my waterproof suit from Zooplus in cut, it just happens to have wings and googly eyes on it! Even the most confident of dogs can be a little unnerved by strange Hoomans dressed in weird and wonderful costumes. Don't let little children take control of the lead when walking house to house, but keep the lead under the custody of a responsible adult! NO HALLOWEEN CANDY! 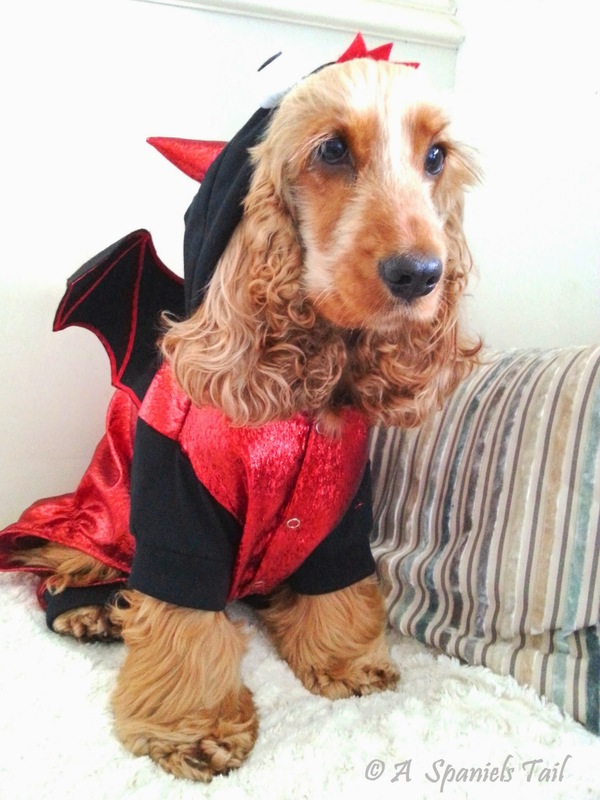 We should all know that chocolate can be toxic to dogs, and artificial sweeteners such as aspartame and xylitol are also not good for them - make sure that children or well meaning strangers are not trying to slip your dog a Halloween treat, which turns out to be more of a trick. Be careful with those Halloween decorations - lit candles can be knocked over, wires and cables can be chewed. Make sure your Halloween decor is pet safe! 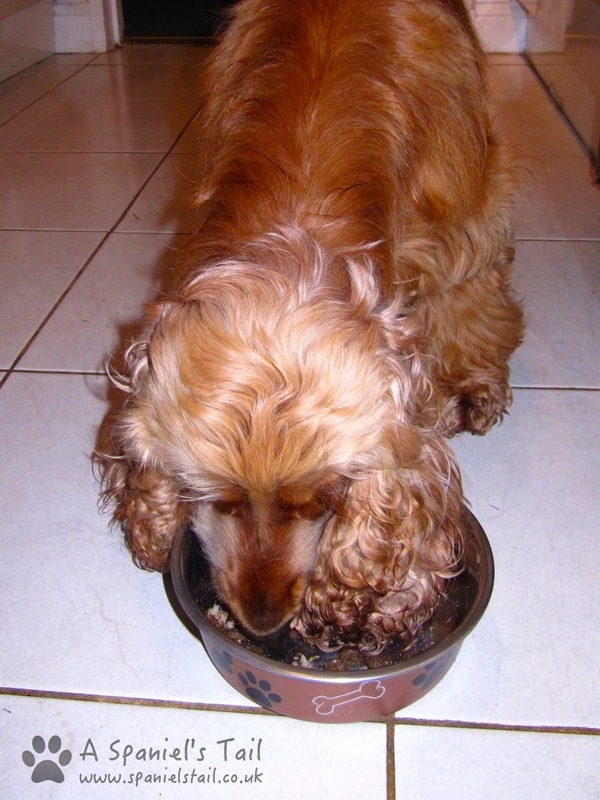 Be careful with the pumpkin - some pets find it difficult to digest when raw which can lead to stomach upsets. Intestinal blockage when large pieces have been consumed has been known. 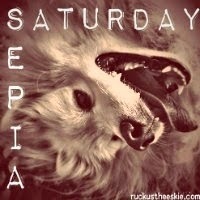 Lastly, keep all pets supervised. Cats (black cats especially due to superstitious association) have been known to be targeted by Halloween pranksters, in some very horrible ways - better to keep them safe and make them indoor cats for a while. This has also happened to other pets, so we would extend this to not leaving dogs unsupervised in your garden until Halloween is over. 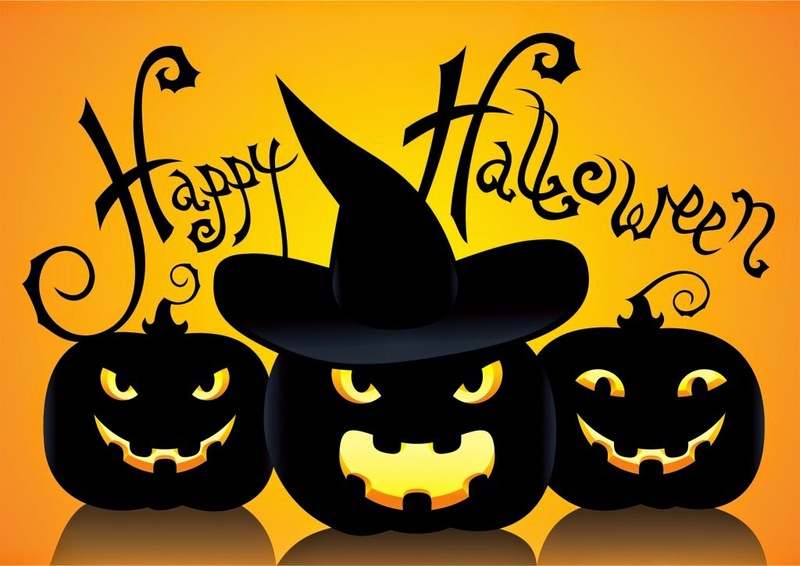 We will be follwoing up soon with a Fireworks Night special - in the meantime, we wish everyone a happy and safe Halloween! And don't forget, take a wander over to our Facebook page, where we will be holding a little photo contest for the best Halloween photo, starting at 16:00 GMT today and running through to Sunday! 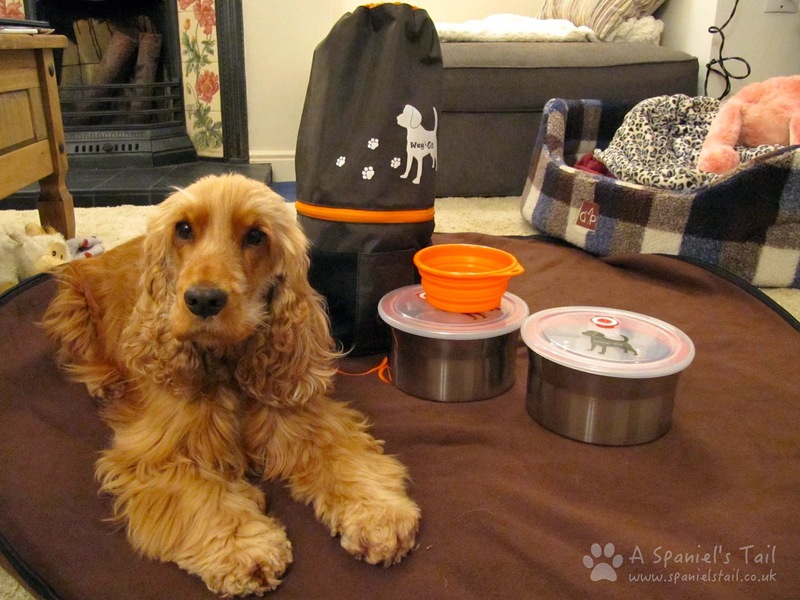 All dog owners will know what I am talking about, when I say that it can be astounding the sheer amount of STUFF that you need to take when you travel with your dog. Poo bags, food and food bowls, water bowls, treats, somewhere for them to sleep . . . doesn't sound like much, but actually is! Well, a company called Wag 'n' Go have come up with an innovative solution to this - a rather nifty little duffel bag design that cleverly includes all of those things in one functional design! 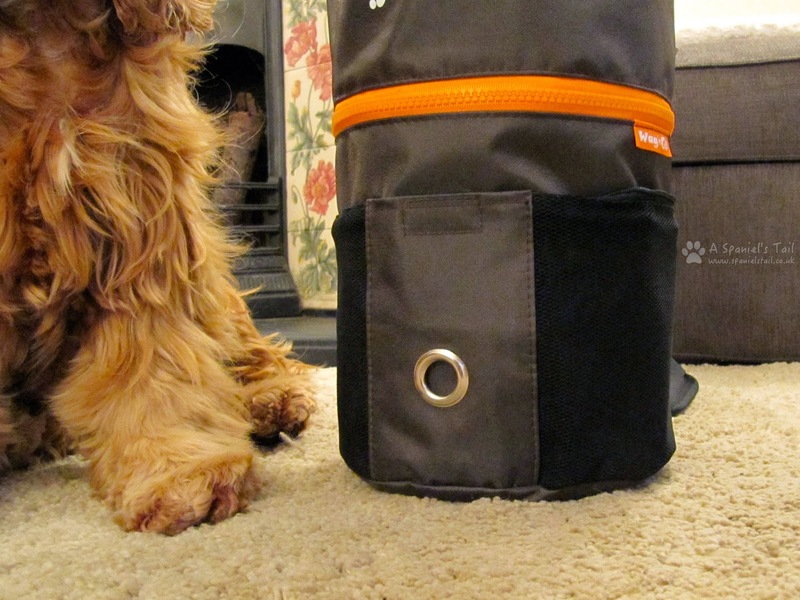 So what's in the Wag 'n' Go travel bag? We were very excited to try this out - Hooman doesn't have a car, plus occasionally when she goes away for a business trip, I stay with friends of ours, often accompanied by various plastic bags containing food, bowls, bedding etc. This goes a LONG way towards solving lots of problems! The best way to see what is packed inside this little bag is in pictures! Nice bag! What's in it? 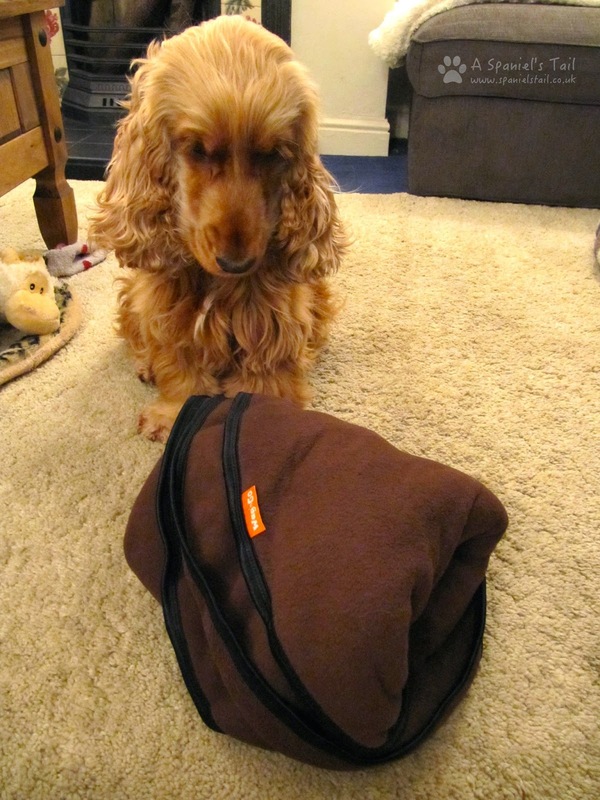 Mesh pockets to stash treats and a handy poo bag dispenser! This looks like a very snuggly fleecy blankie! Hooman, all these bowls and you have forgotten to fill them?! All this stuff in such a little bag! We love this bag - it is such a useful thing to have. 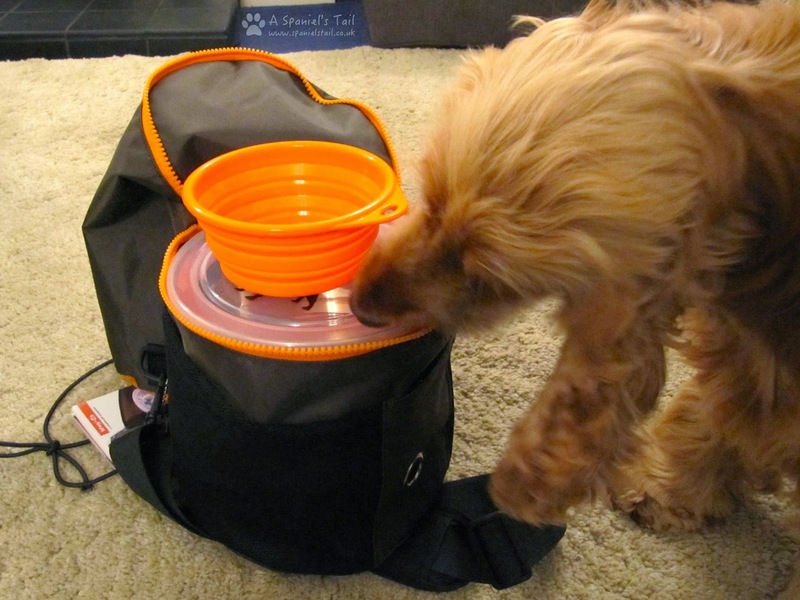 Trina told Hooman that owners use it for all sorts of things - holidays, day trips, staying with friends, and even as an emergency doggy bag in earthquake prone regions! 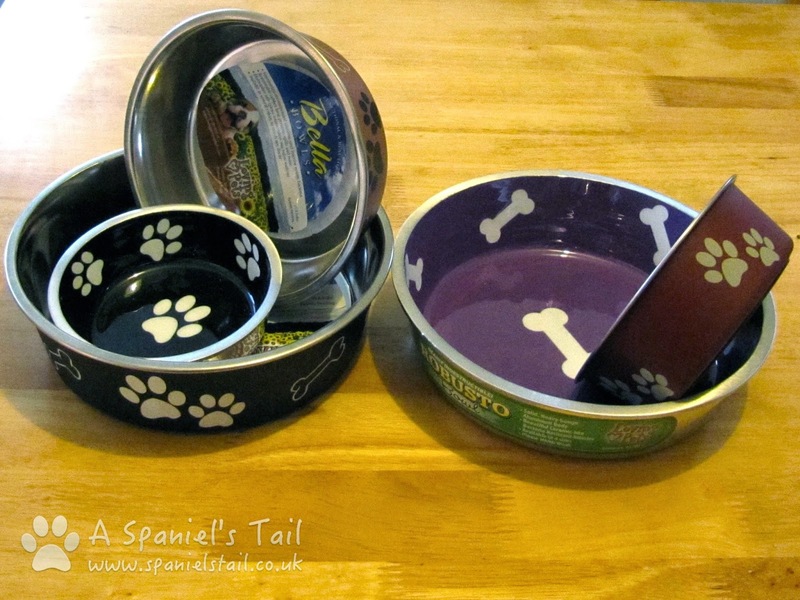 As the bowls are water tight and have a date indicator on the top, they will keep kibble fresh for quite a while - chuck an unopened tray of wet food (as I have mixed with my kibble) in there, and just keep to one side until needed! The blanket is thick and soft - great for a picnic in the summer, or as an impromptu bed or sofa cover if visiting friends or holiday accommodation, and even extra pockets and an all important poo bag dispenser thrown in! Lastly, it has a comfortable padded handle, to keep things comfy for your owners. We think this is a fantastic design - the only thing we thought we would like to add is a water bottle - Hooman doesn't much like using bought water (waste of plastic), and would rather have the option of filling a bottle at home, but you can buy reusable bottles fairly cheaply - one with a attachment to hang it off the handle would be great! The pop out silicon water bowl is fantastic though and just folds up flat when not in use. 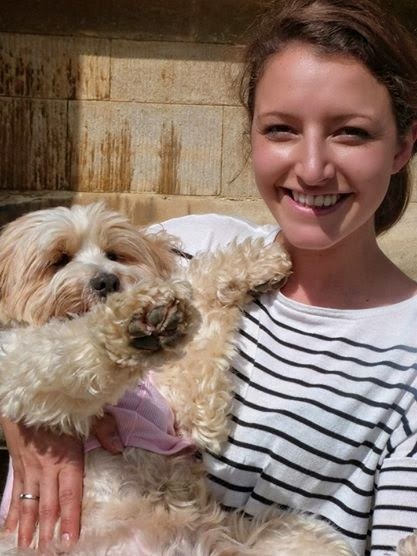 Overall top barks Wag 'n' Go - anything that makes travelling with your furry friend a little easier, gets the paws up from us! The Wag 'n' Go bag can be bought from their website here, for £45 in the UK. Click here to find stockists in other countries. First of all, I must apologise for the low number of posts this month. It's not that we don't have anything to write about (quite the opposite! ), but sometimes other things get in the way! 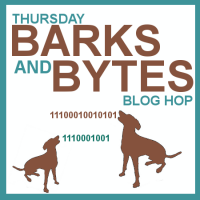 As a sneaky preview of what is coming up, forthcoming posts include Fireworks/Bonfire Night safety, about six items to review (including a subscription service where we will have FIVE boxes for a giveaway! ), a couple of upcoming Woofs With... interviews, including a veterinary surgeon, and a PAT (Pets as Therapy) dog owner, Christmas hazards, a look at Christmas gifts for the dogs and dog lovers in your life, some recipes we are trying out, and (because the Hooman has just got a lovely shiny new iPhone 6) lots of gratuitous shots of me, starting with my Halloween costume next week! But first of all, it is time for this months Question of the Month from our Facebook page. 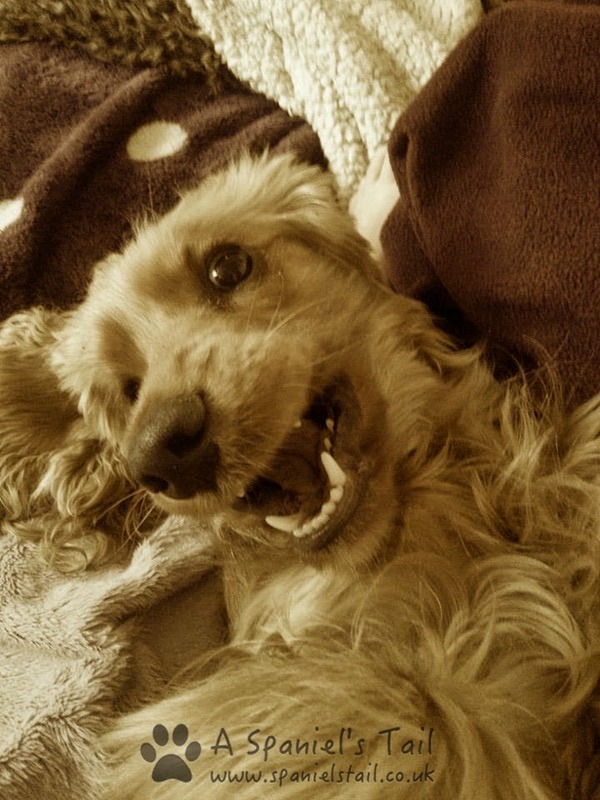 This month, we asked "What is the naughtiest thing your pet has ever done?". Have fun reading them! Sam chewed up the library book his hooman was reading but he was very sorry! I wrecked the car seats jumping on them. £700…. Bailey destroyed my expensive D&G prescription glasses. I wasn't there at the time. I was sitting with my partner later in the evening and went to put them on, and they didn't seem to sit right, all cockeyed and bent and I said, what's the hecks the matter with my glasses. It turned out he'd found Bailey with them in his mouth, and put them back away, he wasn't going to tell me! Who is the naughtiest?! Daisy eats plants. But only the good ones.... "DAISY - DESTROYER OF PLANTS!" While my Hooman was in the shower I went exploring and decided to try digging through the lounge (cushions on sofa destroyed).. My Hooman didn't understand.. A week later I decided to match things up so now the 'arm' looks the same! I is so cleverer! Misty isn't really naughty. Except on walks in the park and if she smells a squirrel or sees one she is off like a bolt of lightning oblivious to our calls. She can be mischievous though. She always comes upstairs for lie in on our bed in the morning while we drink our tea and then shower. Then when I try to move her to make the bed she starts rolling on her back refusing to move. The more I pull the quilt the more she thinks I am playing and bites the quilt growling. I usually give up and go downstairs! She ate a copy of the New Testament. 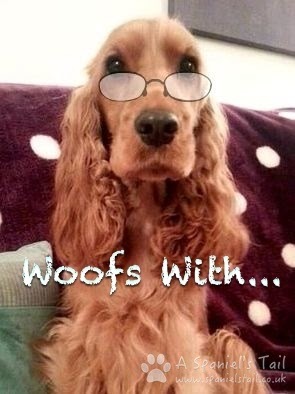 Howard's favourite chew toy when he was a puppy was his daddy's prescription glasses - three pairs down within 2 months! In a week my first spangle chewed through the brand new Dyson cable, then the cable for the internet and lastly the power cable for a laptop! Think he didn't like electrics. Then when I got my second spangle he chewed through the cable for the blast drier, the internet cable (sure the other one put him up to it) and then lastly the cable for an extension lead! I'm not getting a third! Our 2 Rotty X's destroyed our sofa totally when we went out for the day. Total devastation. Chewed through one of the phone lines at work (a vets!). To be fair, he was only a few months old at the time - he wouldn't do anything that naughty now! Veggie destroyed my Montblanc Smartphone case... mistaken it as a bone?! 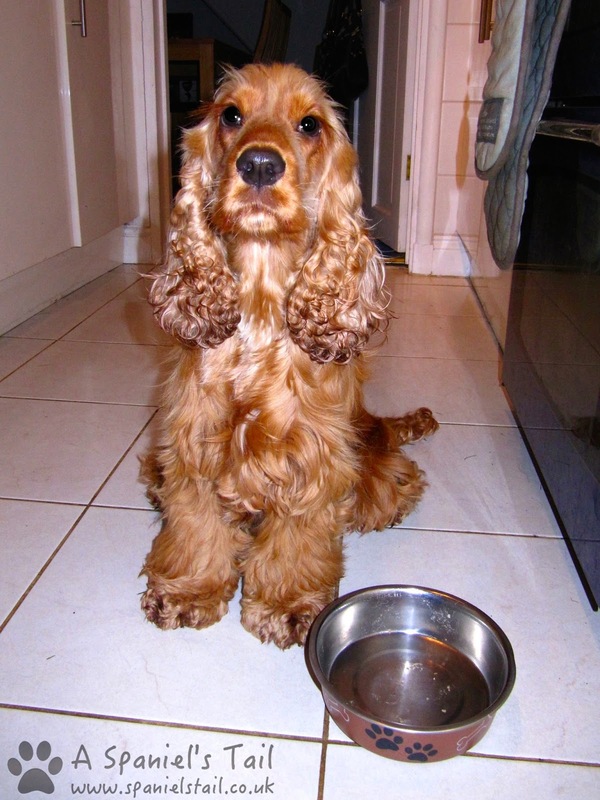 My beautiful gold spaniel was always full of mischief. Aside from being the biggest escape artist, one of the (cutest) naughtiest things I remember was him stealing a container of chocolate coated ginger, sucking the chocolate off and carefully placing all the ginger neatly in a row on the floor. I'm Bella and I stole my hooman's new cookery book off the table and chewed it up when she went out and left me - the food looked so good I wanted to try it but she was cross and said I was naughty! Widget ran away for a whole hour! We had 12 people looking for her at 7.30 in the morning. She was finally found, after lots of stress and tears, back on my doorstep. She'd run 2 miles home and crossed a busy road! Naughty Widget! Mr. Moose likes to take all the tasty smelling garbage out of the garbage can and move it to the living room (while Mommy is sleeping) then chew MOST of it up, leaving evidence as to his naughtiness. And we always like to find our favourite…. Oscar stole some of my knickers and was throwing them around when they landed on the fire, went up in a ball of flames and set my new rug on fire!! As always, thank you to everyone who contributed their story - we would love to hear any others in the comments below, and if you would like to be involved in our next Question of the Month, make sure you come and follow our Facebook page! 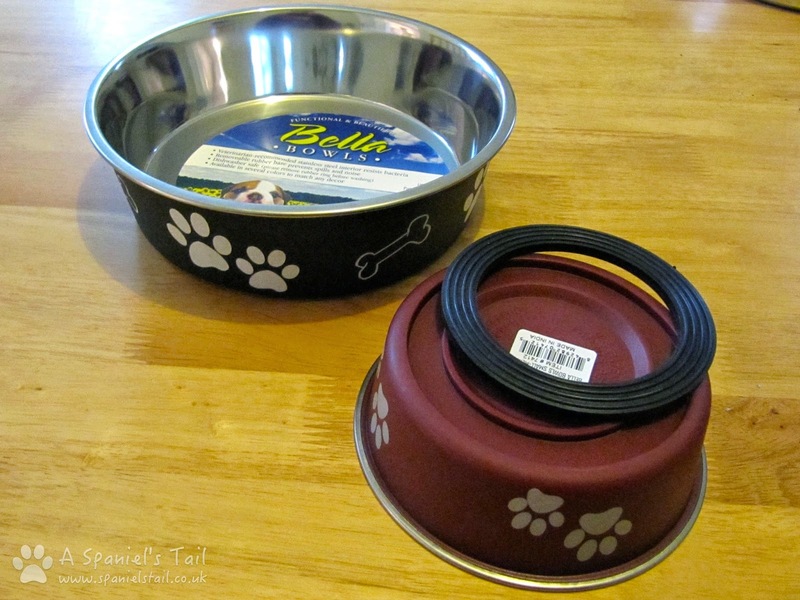 Product Review: Loving Pets Robusto and Bella bowls..... and a giveaway! We recently received a whole bevy of feeding goodies from Loving Pets to try - here is what we found, and a giveaway to boot! 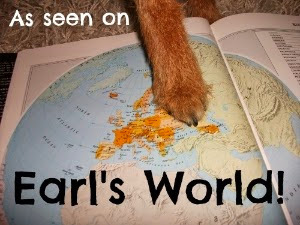 Loving Pets are originally a US company, now branching out into Canada, UK and other international markets. Founded in 2005, they offer an expanding collection of pet bowls, all natural dog and cat treats, and slow-feeding accessories. They aim to maintain high standards in the ingredients and materials, products and affordability. What did they send us? They sent us two types of products to review - first was a number of models from their range of bowls, which we are reviewing today, and secondly was their Gobblestopper, which is designed to slow down feeding, which we will write about in a future review. The first type of bowl is the Robusto - built for extreme durability, they are manufactured from solid, heavy gauge aluminium, paired with bright and attractive patterns on a ceramic interior. Built to be tough, apparently these are SO tough, they passed the durability test of being run over by a 6000lb truck, with no dents or cracks! 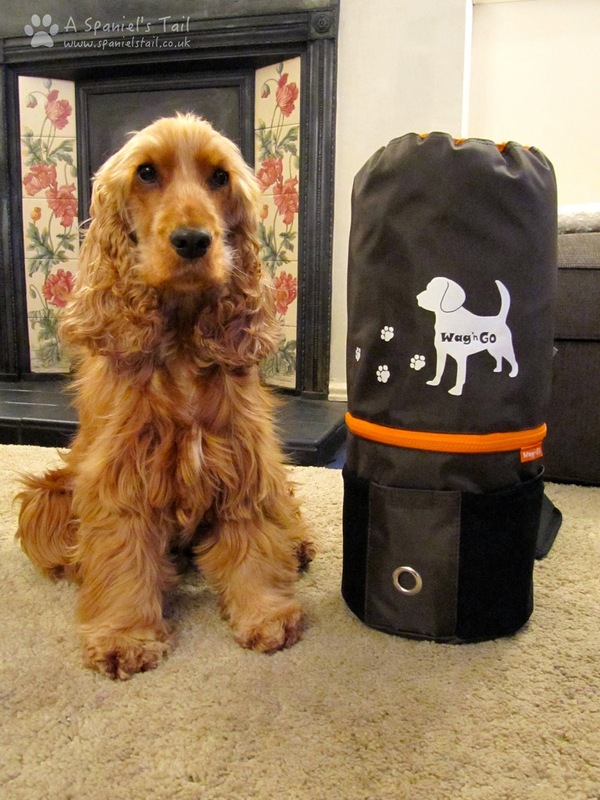 Available in four sizes, these are suitable for both cats and dogs. The second type of bowl they sent us to try was the Bella Bowl Classic. 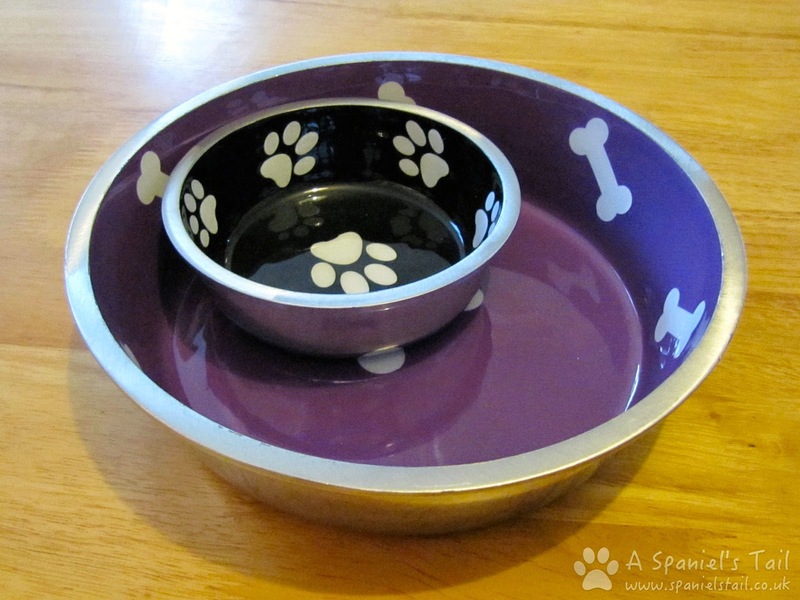 An altogether lighter affair, these are claimed to be the best selling bowl in the pet industry - made from veterinarian recommended stainless steel, these come equipped with a removable rubber ring on the base to stop them skidding across the floor, plus come in an expanding range of decorative colours and designs. Again, these are available in four sizes, to suit most pets. First up was the Bella Bowl. Now, my usual bowl is quite a heavy, handmade pottery spaniel bowl, and I am quite adept at pushing this halfway across the kitchen floor, so Hooman was curious to see how this one with the removable ring would fare. Do you know, it hardly budged? With all these bowls, we like the fact that these bowls are dishwasher safe, the rubber ring is removable and we love the bright coloured designs on them. Second up was the Robusto Bowl - these don't have the rubber ring on the base, but they are incredibly heavy, being made of the heavy gauge alumunium. Lookswise, we love this with the bright shiny ceramic interior, but it must be noted that these are handwash only. Regardless, we probably preferred these bowls of the two, because we like heavier bowls! 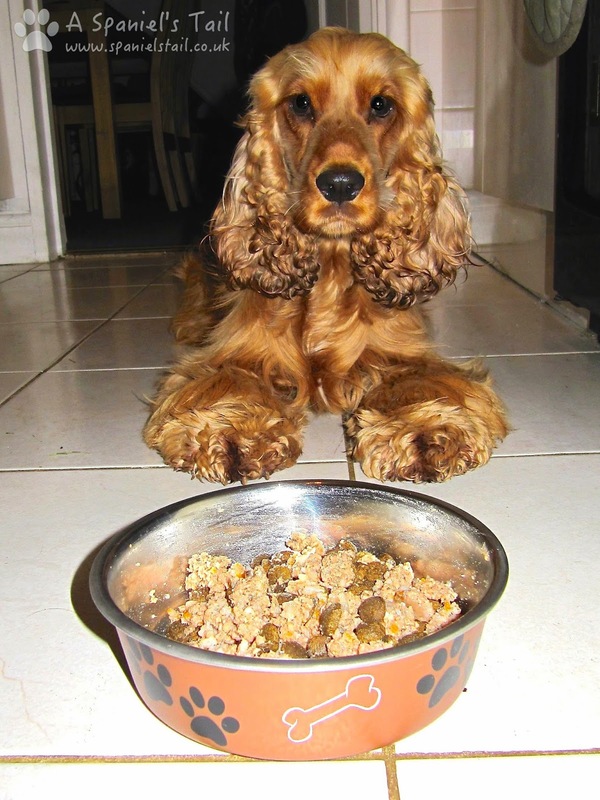 Obviously anything like feeding bowls are very much down the preference of the pet eating from them (some don't like high sides, some don't like metal, some need higher sides like myself otherwise our ears droop in our food! ), but these bowls are all very attractive, well made and a good staple bowl. Our preference would be the Robusto bowl with the lovely ceramic interior and heavy feel, but we liked the Bella bowls too with the funky paw and bone patterns on the outside and non-slip base. Who says stainless steel / aluminium bowls have to be boring!! Loving Pets products are available from Amazon UK, A Star Pets, and will soon be available widely across the UK. Now, as Loving Pets were so kind as to send us such a selection of their range, we thought this would be great for a giveaway! After thinking about how to do it, we are actually doing it as two - one for the two large bowls (one Robusto and one Bella), and one for the two littlest bowls (again, one of each type). Make sure you enter the right one and if you want to enter both giveaways, that is absolutely fine! We are also happy for readers from overseas to enter!